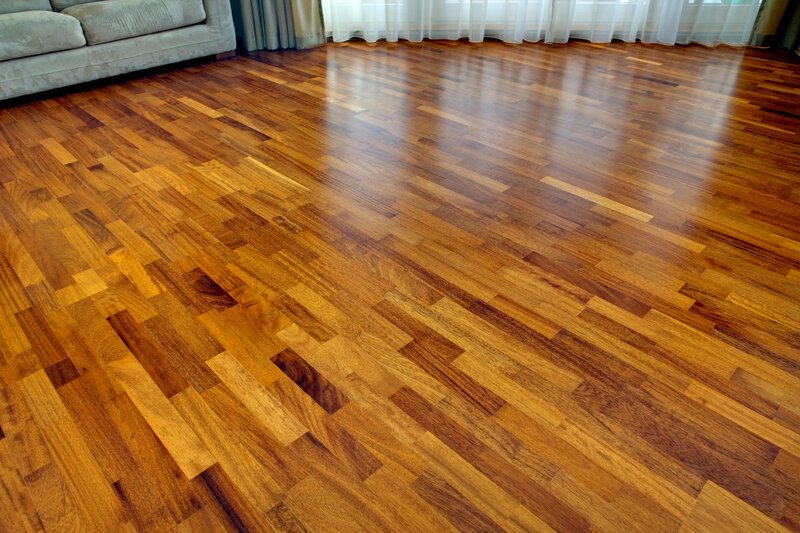 Laminate is a great option for homeowners who want the look of hardwood without the price tag. It delivers a high-quality appearance, is far more durable than hardwood, and boasts a budget-friendly price. However, one of its major downfalls is its susceptibility to water damage. It only takes one puddle of water sitting on the flooring overnight to cause it to bubble up beyond repair. That’s what makes Pergo’s new laminate product so revolutionary. Pergo recently introduced a new type of laminate flooring called Outlast+, which provides 24 hours of defense against liquid spills. That’s a first in the laminate flooring world. And that’s why the product won Home Depot’s 2016 Innovation Award last month. from the sink or shower. In the past, it was a big “no-no” to install laminate flooring in the bathroom because it’s nearly impossible to leave the room without leaving behind some water on the floor. When you’re bathing or using the sink, you’re bound to drip some water where it doesn’t belong. And if you’re using laminate that’s susceptible to water infiltration, you’ll quickly end up with a damaged floor. But with Pergo Outlast+ flooring, laminate is finally an option in bathrooms! Pergo uses its patented UniClic locking technology to prevent water from seeping in between the planks. To make the entire room waterproof, you just have to take the extra step of sealing the edges of the floor by the baseboard. Its SpillProtect24 feature also allows the homeowner to use a wet mop to clean the floors, which is another rarity in the laminate world. The bathroom is the most popular room in which to install in-floor heating. 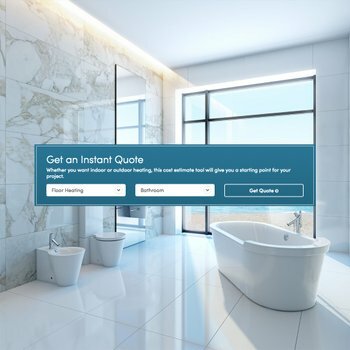 Thus, with laminate now a viable option in bathrooms, electric underfloor heating is expected to be more in demand under laminate than ever before. WarmlyYours Radiant Heating offers its Environ™ floor-heating system for use under laminate. 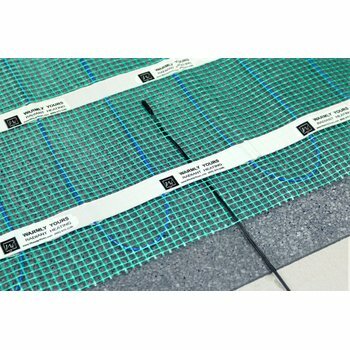 The system is specially designed with a reinforced, laminated aluminum foil that protects the flooring from the heat of the heating cable. With a radiant heating system installed under your new laminate bathroom floors, you can ensure that the floor will be warm to the touch when you need it. But even more so, your bathroom will be evenly heated from the floor up. Having that supplemental radiant heat in the bathroom means never having to step out of a warm shower into a chilly room again. That extra boost of heat is exactly what homeowners are looking for during the winter months. Additionally, wood floors are most commonly found in kitchens, which is the second most popular room for in-floor heating. With Pergo Outlast+ wood laminate floors, your kitchen will get the look you desire without the worry that one rogue ice cube or splash from the sink will ruin it. And with radiant heat underneath, family dinners and social gatherings will always be comfortable and hospitable. Like Pergo’s Outlast+ flooring, Environ™ floor-heating systems are budget friendly. 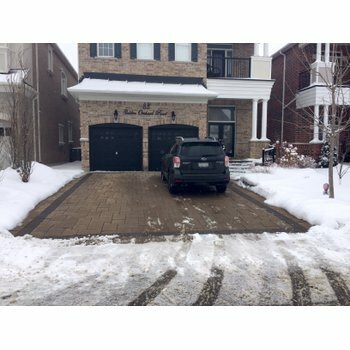 Homeowners have the option to spot heat a small area or heat the entire floor space, depending on how they want the system to function and what their budget allows. For spot heating, you can get a 3- by 5-foot mat for just $165. Replacing your flooring doesn’t have to be unaffordable. By selecting the right materials, such as Pergo’s Outlast+ laminate floors and WarmlyYours’s Environ™ heating mats, you can get quality and functionality all within your price range. Pergo Outlast+ laminate is available exclusively at the Home Depot in seven wood species/colors. Each retails for $2.79 per square foot. Environ™ floor-heating systems are available online at www.warmlyyours.com. For more information about how to install electric radiant heat under laminate flooring, visit www.warmlyyours.com or call one of their technical support specialists any time (24/7) at 800-875-5285. *Note: Pergo Outlast+ is not shown in images above. Previous Post What’s Cooking in Charlotte? Low Cost Radiant Floor Heating.